LOOKING FOR DENALI PICKUP, WELL I HAVE THE RIGHT ONE FOR YOU. 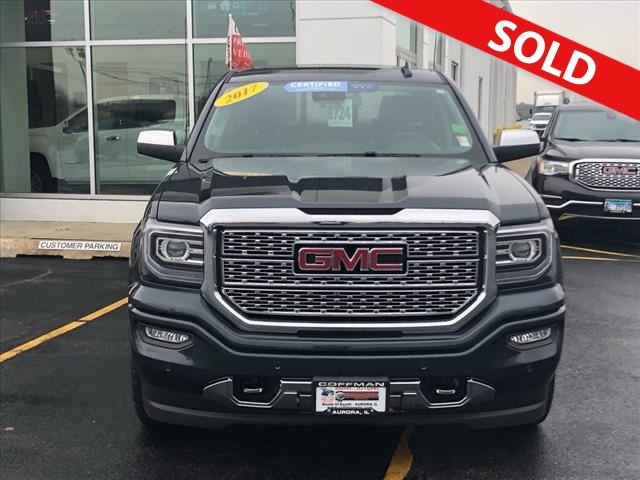 2017 SIERRA DENALI WITH ULTIMATE PACKAGE, WHICH HAS THE HARD TO GET 6.2 V8 WITH 22 INCH WHEELS AND TIRES. THIS ONE IS LOADED UP AND READY TO GO. DONT MISS OUT.